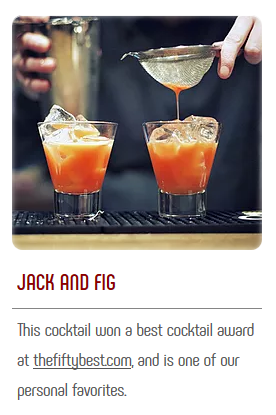 This cocktail won a best cocktail award at thefiftybest.com, and is one of our personal favorites. Shake all ingredients. Strain over ice.